Away from the limelight, transport equipment specialist, Fuwa K-Hitch, has been working tirelessly to set itself up for a successful 2016. The result is a nimble organisation with an innovative edge – and a powerful global support network. It was only recently that Melbourne company Fuwa K-Hitch stirred up the commercial road transport industry by partnering with Swinburne University and Ballarat consultancy Bisitecniks to design a dedicated fifth wheel testing laboratory in Melbourne. 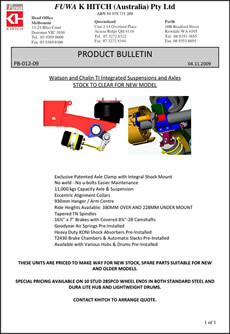 Before Fuwa K-Hitch decided to invest in the project, testing the mechanical properties of a fifth wheel could only be carried out in Brisbane or Sydney. 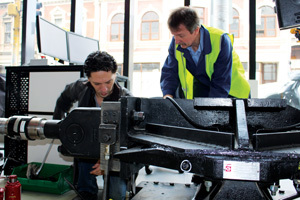 But due to the company’s unswerving commitment to bringing a new dimension of professionalism to the Victorian transport community, Swinburne’s $15 million Smart Structures Laboratory eventually opened up collaborating with the local transport equipment expert. 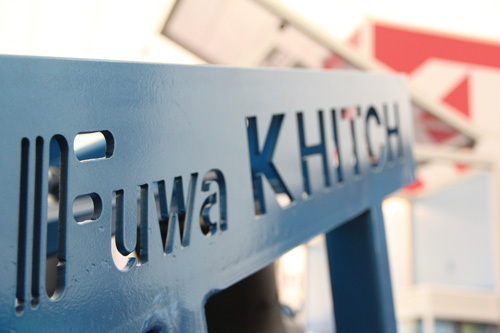 The project not only helped build a strong foundation for Fuwa K-Hitch’s future success in the fifth wheel space, but also signified just how busy the company was behind the scenes to create the right framework for success in 2016. Last month, the same mind-set led the company to enter into a new distribution agreement with Auckland company, Truck and Trailer Parts (TATP), as its new representative and service agent for New Zealand. “With the market still somewhat murky, it’s all about creating a strong framework for success at the moment to prepare for the next upswing,” says Chris Barrett, National Sales Manager of Fuwa K-Hitch Australia, who is confident the two projects helped strengthen the company’s standing in the Australian and New Zealand marketplace. The feedback Fuwa K-Hitch has since received is indicative of how well recognised the product is – and the growth opportunities that come with recent developments in Australia and New Zealand. As such, it’s safe to say Fuwa K-Hitch’s efforts to reinforce its market position in the Asia Pacific region by building strong relationships and investing in product quality are already paying off. “Sometimes it’s the work you do in the background that is most important to the future success of the company,” says Chris.